First steps in circuit design for the budding electrical engineer. San Francisco, CA (October 25, 2018)—A Beginner’s Guide to Circuits ($17.95, 80 pp., October 2018) introduces beginners to the magic of electronics. With easy-to-follow instructions, it’s sure to be the perfect book for young readers who want to understand the everyday electronics around them and gain the skills and confidence needed to venture into more advanced STEM projects. 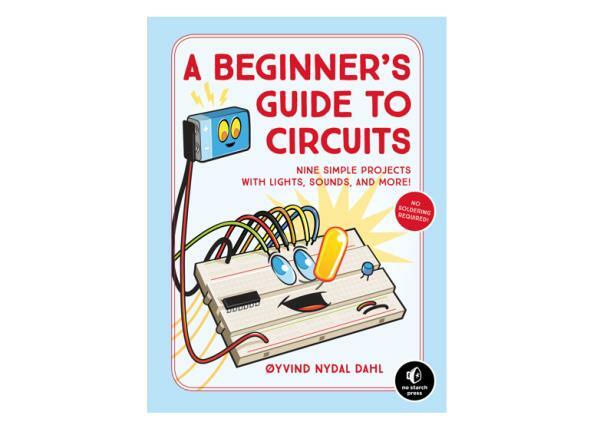 The book opens with an introduction to reading circuit diagrams that shows readers how to connect components on a breadboard, a reusable board with holes for connecting circuit parts without soldering. The book’s nine projects each include a parts list of inexpensive and readily available materials and a detailed diagram to orient the reader as they assemble the circuit step-by-step. Throughout the book, author Øyvind Nydal Dahl shows readers how to apply resistors, transistors, capacitors, and other components to their own circuit designs. 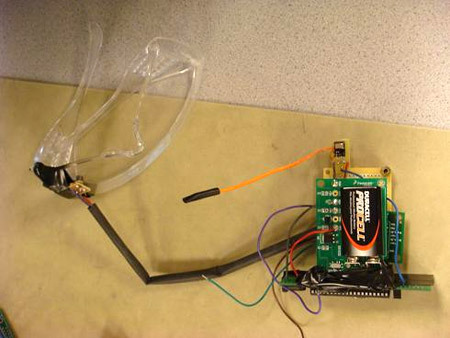 Readers can check their work and troubleshoot malfunctioning circuits by referring to the common mistakes section in each project. Calculations and additional diagrams at the end of chapters explain how circuit components work and ensure that readers fully understand the mechanics behind each project.